A dance with history: Mathilde Monnier and Alan Pauls rehearse their new piece. 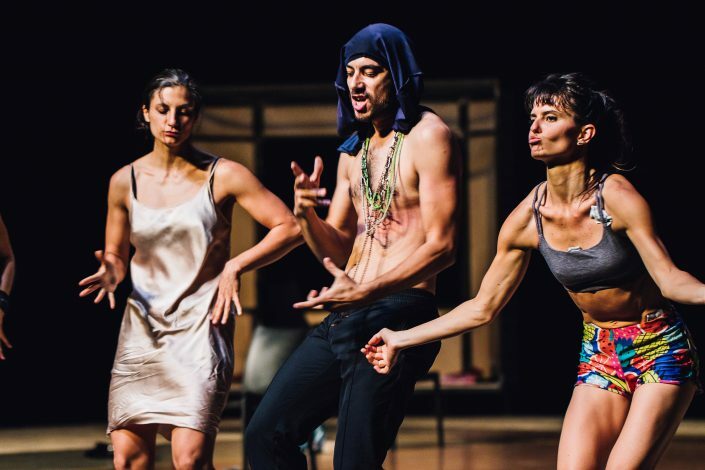 “El Baile” by choreographer Mathilde Monnier and author Alan Pauls tells Argentina’s history through dances and bodies. A report from Buenos Aires. Situated in the heart of La Boca, the Prix d’Ami has certainly seen better days. Still, with its blindingly white walls and its imposing pergola, the old cinema has lost none of its former majesty. 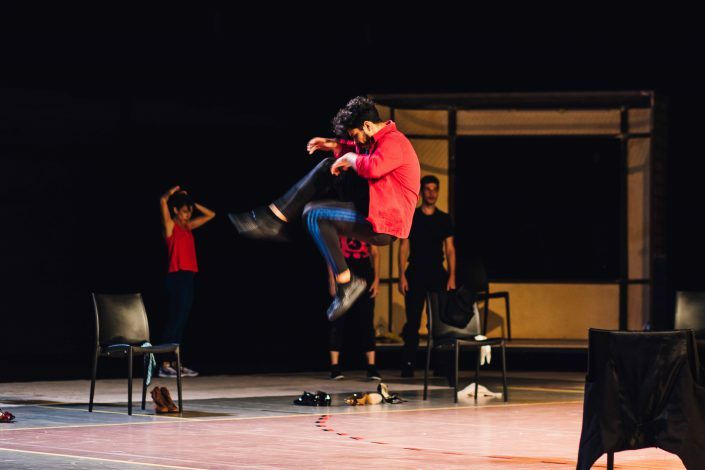 The “El Baile” ensemble has been rehearsing in this charming space for a few days now, and its downsides – the dancers are obliged to make do with a concrete floor, and when it rains heavily water drips into the hall – are powerless to hamper the vigour and enthusiasm of these 12 artists. It’s April, and Mathilde Monnier works on “El Baile”. 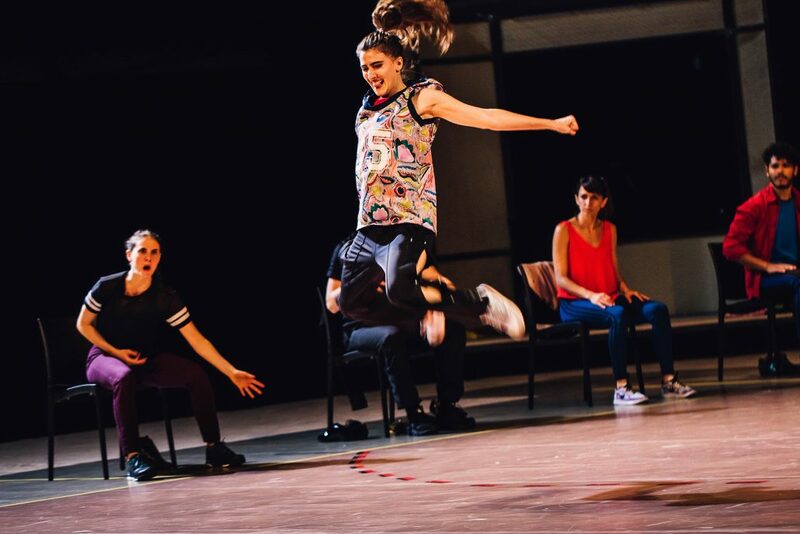 Since work started on the production, the choreographer has been shuttling tirelessly back and forth between Paris and Buenos Aires for casting calls, workshops and discussions. She wants to breathe the air of the port city through which the Argentine author Alan Pauls accompanies her. Together they are embarking on an adventure, exploring the memory of a country that since the end of the dictatorship has never known calm. Their point of reference is the iconic 1980s spectacle “Le Bal”, created by Jean-Claude Penchenat for the Théâtre du Compagnol. Penchenat’s revue tells the history of France from the end of the war up until the 1970s. Entirely without words. Just dance and music. 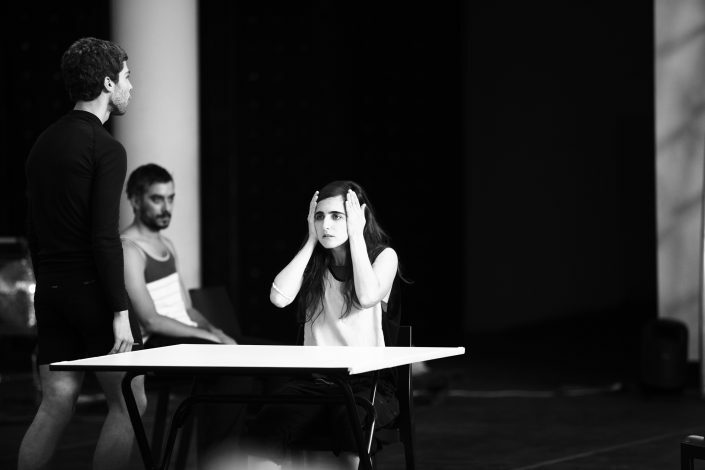 Many critics compared the piece with Pina Bausch’s 1978 work “Kontakthof”. Both pieces were performed in ballrooms with music and dance, both were staged as variety shows with a hint of bittersweet irony. In Penchenat’s piece, as in Bausch’s, a muffled sense of violence develops between the couples. Indeed, Penchenat himself has suggested that he was influenced by “Kontakthof”, something that is true for quite a number of artists of that era. They bear witness to their own stories, not to the dictatorship or the disappeared. But „El Baile“ is not „Le Bal“. Penchenat’s production is just the starting-point, a shared idea. As it crosses the ocean, from France to Argentina, the piece takes on a new nationality. “I needed a while before I could accept that”, admits co-director Alan Pauls. “The concept was confusing, but I was fascinated by the idea of writing for ballet. I wasn’t familiar with the stage version, and Ettore Scola’s film version wasn’t to my taste. Which route should I take? Then I saw ‘Vers Mathilde’, Claire Denis’s 2005 documentary about Mathilde Monnier. I liked the film and I liked Mathilde, and I knew what I wanted do.” Monnier and Pauls began to correspond, met up and entered into a dialogue. 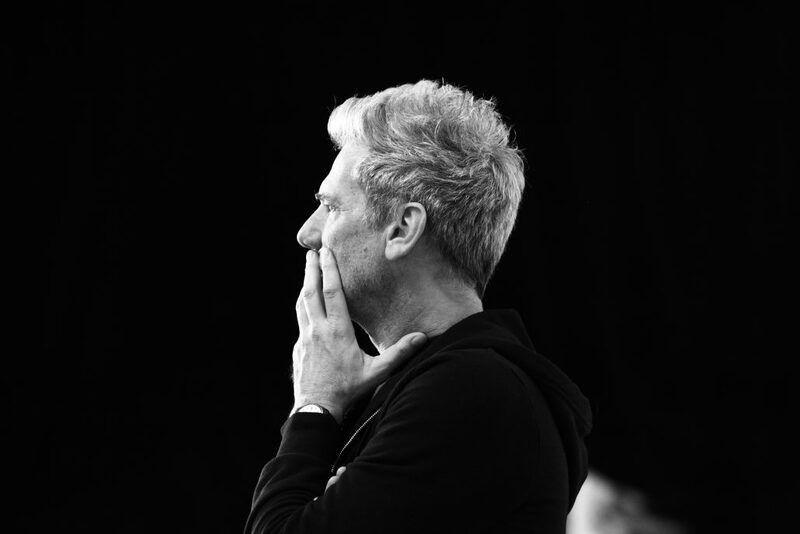 The writer – the author of “The History of Crying”, which has been translated into many languages – jestingly outs himself as the “supplier of the Argentine dimension for the project. Our aim was to generate a connection with something imaginary that doesn’t reveal itself at first glance.” He wrote ten pages, “a mosaic of situations, so to speak,” then a script. “Alan had worked for the theatre and for film,” says Mathilde Monnier, taking up the thread of the story. “But how could this alchemy be translated to ballet?” Pauls fed everything into a black hole: “Dance always goes a step further.” The duo took up the history of each epoch in turn, while allowing themselves some freedoms in relation to the original staging, not least of all by dispensing with chronology. “El Baile” cuts across the flow of times and fashions. “We developed a corpus of song, movement and rhythm, which ultimately portrays a personal legacy. 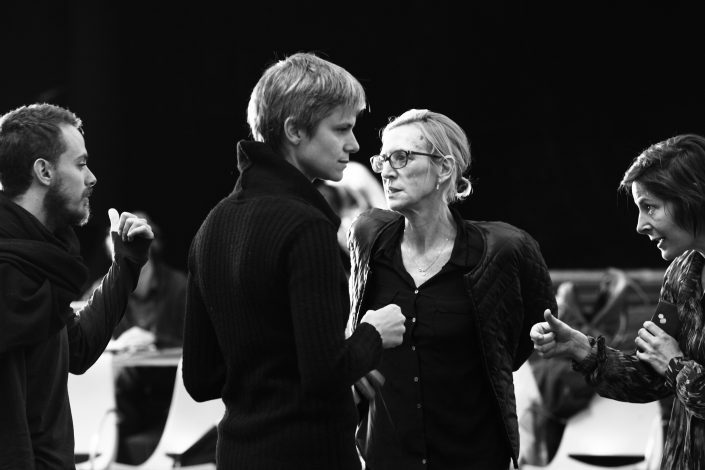 We created a kind of lexicon of the vital, which the dancers process on the stage,” explains Mathilde Monnier. The audience will navigate between different temporalities, which are continuously touching on different phases in recent Argentine history. Monnier and Pauls present the years of the Menem government – the period of “quick money” between 1989 and 1999 – as a salsa in which the dancers approach the spectators in the first row and attack them with lascivious, almost vulgar movements. 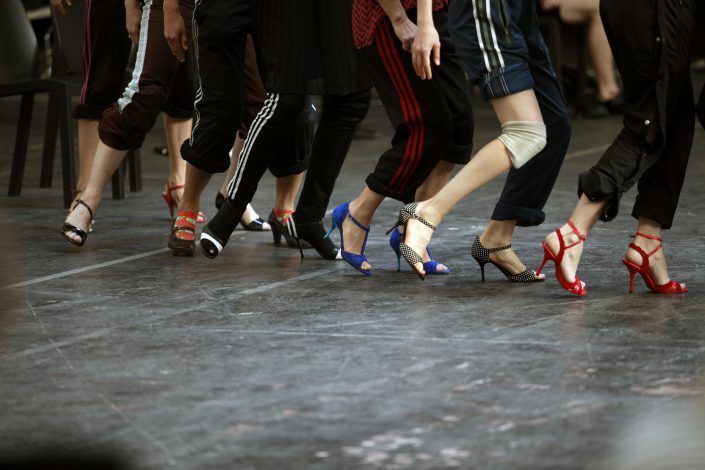 Not provocatively – the movements are recognisable even to a European audience – but rather as caricature. 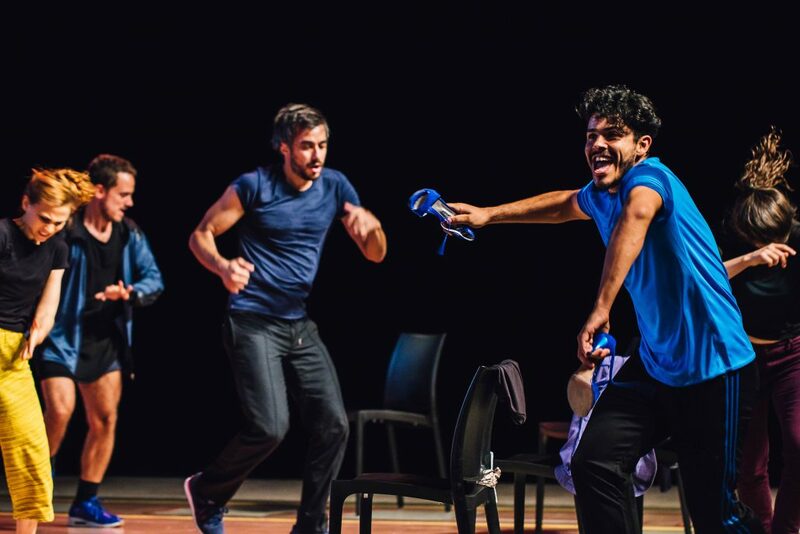 In another sequence, an almost mocking commentary on the nation of machos, the dance of the gauchos – the expression of masculinity par excellence – participates in a tough, winner-takes-all competition in the style of contemporary reality TV. We don’t avoid stereotypes, we work with them. “El Baile” has also profited from a musical collaboration with the folk-music specialist Sergio Pujol. 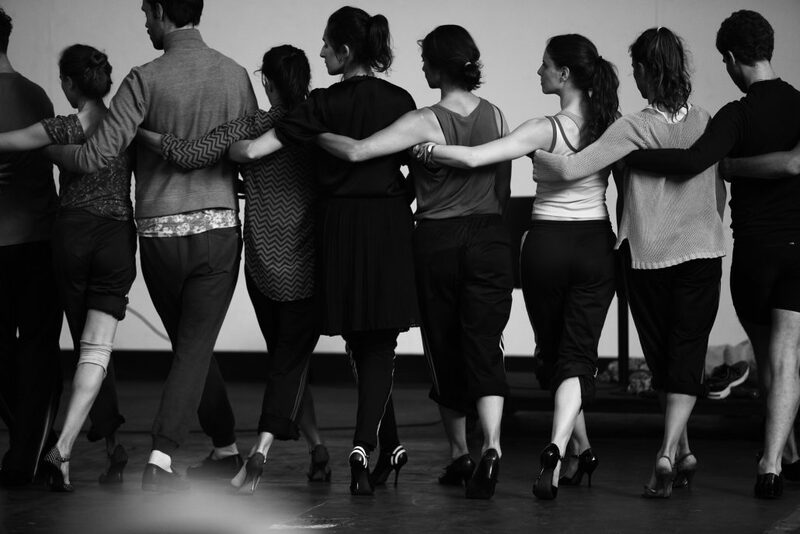 For Alan Pauls, the popular is “that which we have in common, that which produces a link between the generations.” At the same time, the work is related in every way to modernity, for example via the tango, which is here inflected in a unique way. But enough talk… From the melancholy, almost sobbed samba to the song “No soy un extraño” (I’m no stranger) by Argentine rock star Charlie Garcia, the lovingly wrought soundtrack of “El Baile” scales peaks of emotion. Olivier Renouf, who is responsible for the structure, went into the street and recorded everyday sounds. The dancers on stage build bridges in their echoes. After the confrontation with the hard floor of the Prix d’Ami, “El Baile” will touch down gently in Angers, Montpellier and Berlin. In autumn there will be a tour and a three-week guest spot in Buenos Aires. At our meeting in spring the ensemble can hardly contain its excitement. Some of its members have never been to Europe before. We assure them that “El Baile” will excite audiences: “People will cheer you, embrace you.” Things will be intense, passionate, crazy. Welcome to the bal(l)!